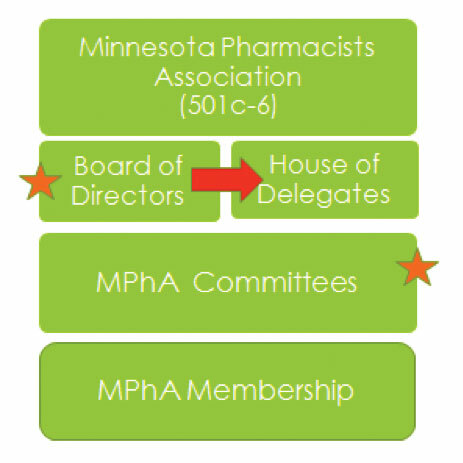 The HOD serves as the primary policy-making body for MPhA and determines the official positions for the organization on important issues. This governing body meets annually. Topics range from organizational issues (such as how the organization is structured) to professional issues (such as scope of practice and provider status) to public affairs issues (such as public positions on policy matters). If you have an interest in serving as a delegate, please let us know! The House of Delegates will meet again in June 2019. Please email your interest to Siri Livdahl at siril@mpha.org or Marsha Millonig at marsham@mpha.org. You can learn more about what it means to be a delegate through the New Delegate Orientation Webinar.